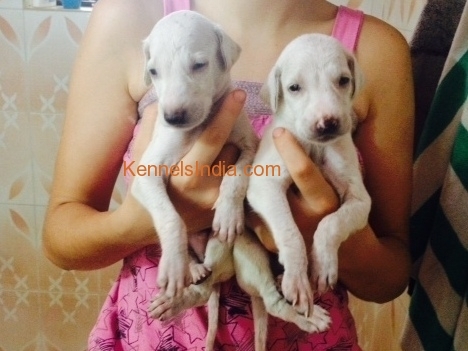 Beachcomber's Kennels offer show quality pure white Mudhol Hound puppies for sale. Puppies are dewormed and very healthy. They will come with the KCI registration papers and microchips. Father is a champion of India, mother is CC and BOB winner. Mudhol Hound is an indigenous Indian breed. These dogs are extremely smart and loving, they make fantastic family pets, yet they are good guard dogs at the same time.